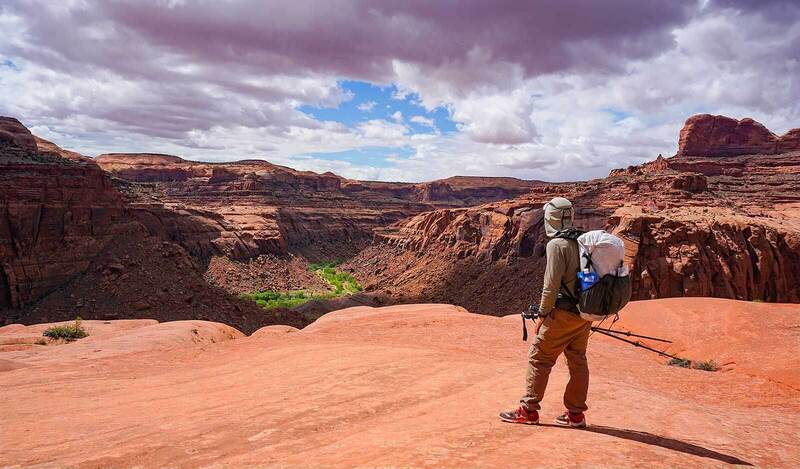 The Escalante Overland Route is arguably the most exciting high route in the lower-48! It is certainly the most beautiful and challenging trip we’ve done. The beauty of its remote desert canyons and mesas are equal to the best the planet has to offer, Grand Canyon included. 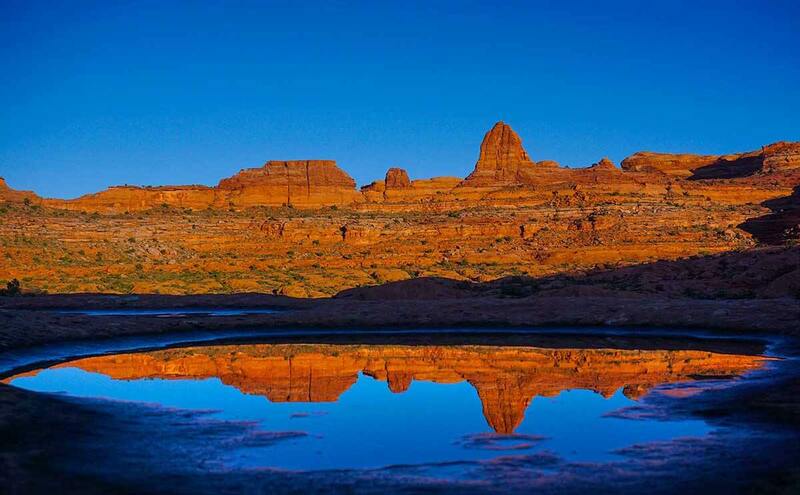 Breathtaking views of red rock and the southwestern desert appear around every bend of the Escalante River. The Escalante Overland Route (OLR) traverses the Grand Staircase-Escalante National Monument, arguably the best, true wilderness in the lower 48. Compared to the millions who visit the Grand Canyon each year, the vast expanse of the Monument below Highway 12 has no trails and few people. Many of the canyons only see a few visitors a year, if any. You are unlikely to see another person on the route. It is the perfect setting for a bona fide adventure filled with jaw dropping beauty. Just to be clear, this is Steve Allen’s route. He describes an “Overland Route” in a few terse paragraphs at the end of a 1997 guide book. He presents it more of a challenge than a guide. In the ensuing 20 years it’s remained off the radar, with almost no known completions. In this sense, the OLR is closer to a “revived” route than a new one. Don Wilson, Andrew Skurka and I hope that this trip report will inspire more people to experience the wonders of the Escalante. 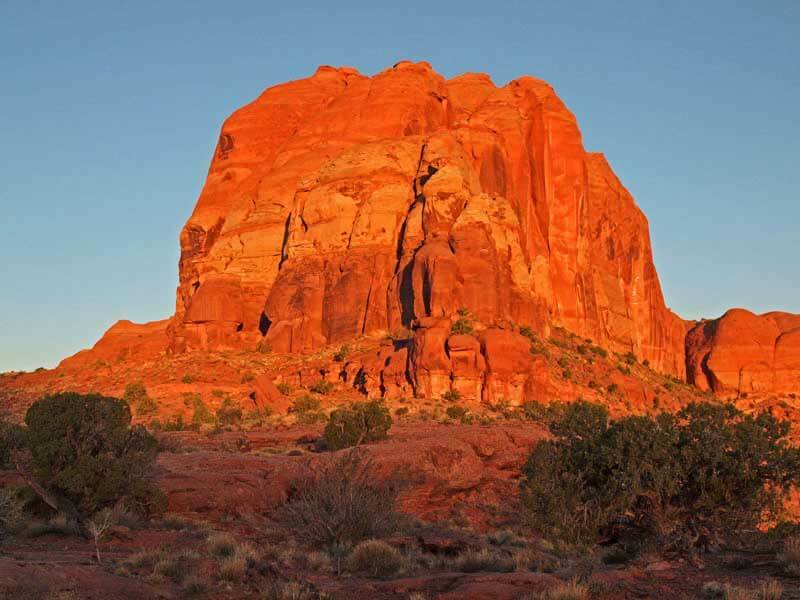 What is the Escalante Overland Route? While millions gawk a the Grand Canyon each year, only a fortunate few will see this dawn view from a remote side canyon on the Escalante Overland Route. 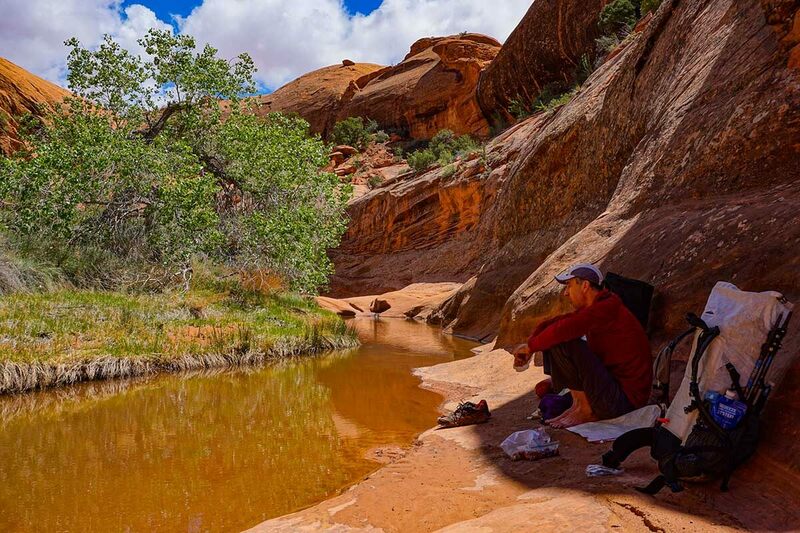 The Escalante Overland Route is a stunning, “desert canyon high route.” In many ways, it is better or equal to the Grand Canyon and it certainly has fewer people. For about 100 miles, the OLR stays high above the Escalante River Canyon, holding close to the rim. And counterintuitively, following the rim above the canyon is far more challenging than walking down the canyon bottom. The upside is the amazing view when perched on the edge of the rim a thousand feet above the canyon. The Escalante was the last river of its size to be discovered in the lower 48 states and the area was the last to be mapped in the lower 48. (So recent that the maps have a 1000 meter grid and UTM coordinates!) Today, only a few canyons such as Coyote Gulch and Neon Canyon see regular use. And some of the side canyons are so remote and inaccessible, that people only go there about once every 5 to 10 years. What’s our next move? Don checking out maps high above the Escalante. Navigation is critical & at times beyond challenging. Duration 7 to 12 days. Physical: Strenuous. No trails. Long walking on sand, uneven/broken terrain of all sorts, bushwhacking, unavoidable poison ivy, and a lot of scrambling/climbing. Expect low mileage days. Technical: Semi-technical: For experienced canyoneers that are also rock climbers. Somebody needs to be capable of leading a few of the climbing sections without protection. 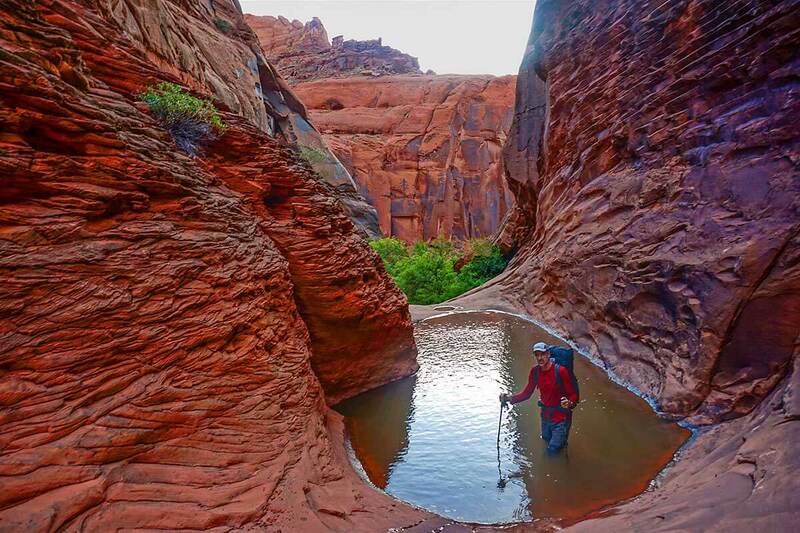 Reference: Steve Allen’s Canyoneering 3: Loop Hikes in Utah’s Escalante. The Overland Route description starts on page 306. Why is this a Trip Report and not a Comprehensive Guide? While it’s exciting and beautiful, the Escalante Overland Route (OLR) may also be the most demanding high route in the lower-48. You have to earn the views and the solitude. This challenging terrain demands 100% of your attention. It also requires your absolute best physical, navigational, and scrambling/climbing abilities. It is not a route to be taken lightly. 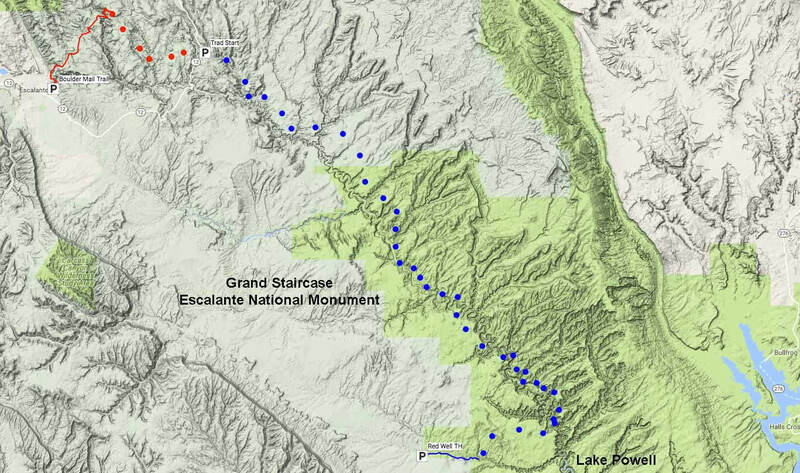 The original intent was to publish a Guide and Mapset for the Escalante Overland Route. In 2015, Don Wilson, Andrew Skurka and I did the first half of the OLR. In 2016, Don Wilson and I went back and completed the route (Andrew had a schedule conflict). Don and I also scouted the last difficult sections of the new addition—crossing Sandy Creek and Calf Creek. But in the end Don, Andrew and I agree with Steve Allen. The route is too challenging and dangerous for us, in clear conscience, to publish a comprehensive guide. In fact, a guide would ruin the intent of the OLR—a challenging and complex route to be relished and puzzled out on your own. So we opted for this Trip Report and Photo Essay. That being said, we certainly don’t want to deter competent canyoneers from doing all or part of the route. People who are interested should read through the Challenges and Cautions for the Route section to assess whether this is something they want to undertake. 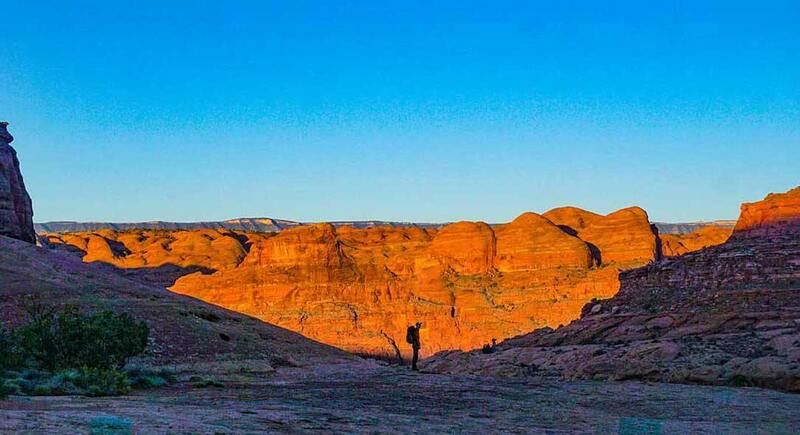 If not, consider the easier, Non-technical Canyon Backpacking option below. But by all means get out into the canyons! 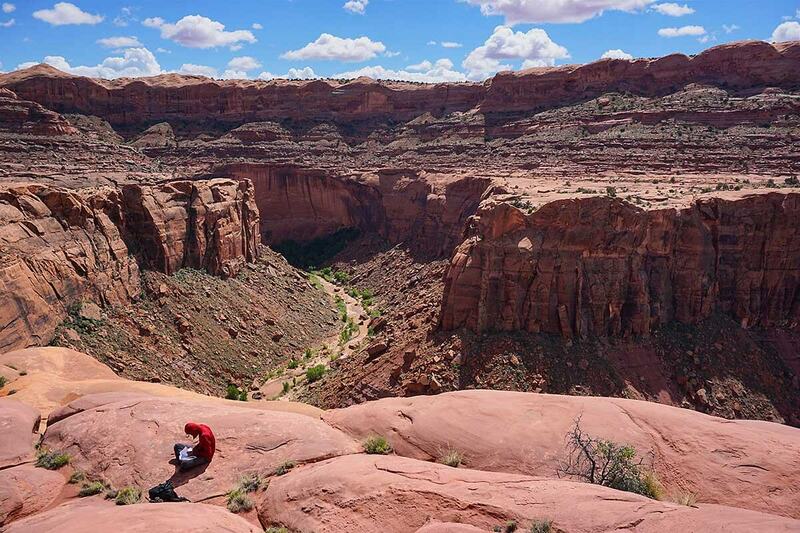 Many beautiful canyons are low risk – One can simply walk in and walk out. So, if you are interested in canyoneering but don’t know how, you might want to read my Non-technical Canyon Backpacking in Utah – a how to guide for getting started. There are a number of spectacular, but not difficult canyon systems waiting for you to explore. 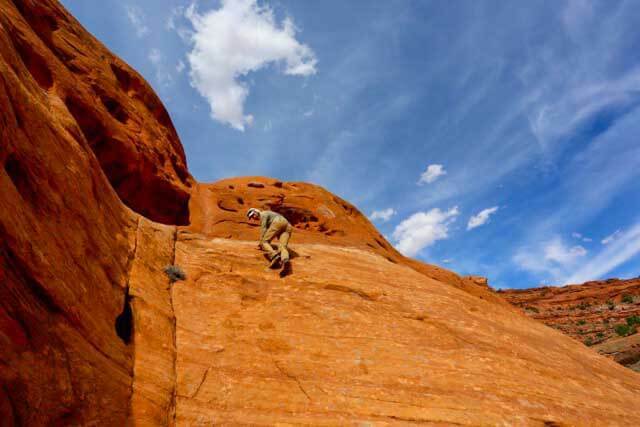 The original “Overland Route” was proposed in 1997 by Steve Allen in a few terse paragraphs in the very back of his Canyoneering 3: Loop Hikes in Utah’s Escalante. He does not say that he’s done the route in any intentional way, although he certainly could have. And it’s almost 100% certain that Steve has done all portions of the OLR at one time or another on various trips. But I’ve done a bunch of Google Searching and can find only a few mentions of using short sections of the OLR to connect-up a bit of terrain for another trip. As for the the complete OLR, I’ve found no records or trip reports or mentions, let alone a record or mention of someone successfully completing it. The only person I know who has done the complete OLR is Bill Wolverton and that was a number of years back. Bill recently retired, but he worked for the BLM in Escalante for many years. He is something of a local canyoneering expert and legend. According to Bill, he knows a few people who attempted the OLR, but is not aware of anybody completing it. They could have, but never reported back one way or the other. Water is scarce above the Escalante but sunlight and heat are plentiful. Don taking a break in the shade at a welcome opportunity to resupply our diminished water supply. The traditional 80 mile OLR (Steve Allen’s) starts on Route 12 near Calf Creek Falls and finally leaves the Escalante River Canyon just before Lake Powell. In between, it aggressively navigates across/around 10 major side canyons (and numerous smaller side canyons) as quickly as possible—many times with difficult-to-locate and challenging technical entrances and exits. It’s certainly the most difficult navigation that we’ve done. There are sections where somebody is going to need to climb class 4+ or low 5th class slick-rock without protection. This is usually down climbing which is less pleasant. The navigation is exceptionally hard. What the world looks like from the rim of the canyon. To give you a sense of scale, those tiny green dots in the canyon bottom are full sized cottonwood trees. 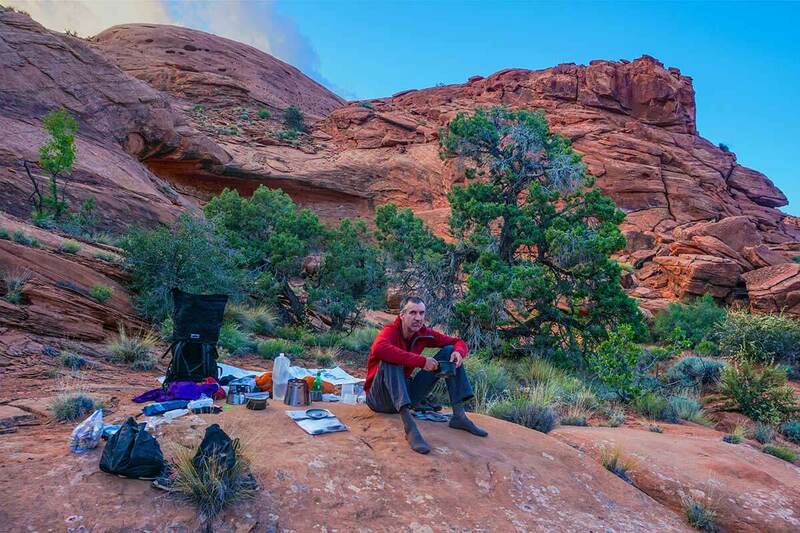 Dinner at typical camp in an extremely remote canyon. Practicing leave not trace, we just put down quilts down on the slick rock to sleep. Nobody will ever know if we were there. Even in the desert getting wet is sometimes unavoidable. Dawn silhouette above the Escalante. Thank you for the great website. Two years ago I soloed the WRHR. Your trip guide and gear list were key to a successful trip. I am interested in the Escalante Overland. Can I ask why you exited at Red Well instead of crossing Coyote Gulch to Fortymile TH? Also what is max water capacity you ever carried? Thanks for posting this—this is really inspirational. What shoes would you recommend for this sort of terrain? I worry the trail runners I usually hike in aren’t sufficiently sand-resistant or grippy. Thanks again for the tip. We couldn’t quite swing the time off for the Overland Route this year, but we did Steve Allen’s loop #21 through Stevens Canyon and the Waterpocket Fold, which seems to have many of the same challenges (like slickrock climbing to class 4+ or so), and my Brooks Ghosts worked great. The Escalante is every bit as beautiful, wild, and committing as described. Please please take this down. I have spent years doing all portions of the Overlsnd Route. Don’t advertise it I beg you! Oh, come on ! Don’t be so selfish ! There is enough red rock for everybody ! My apologies, as I haven’t read the entire report. I realize now it’s a very demanding route. Oh, I LOVE this. Thank you!!!! Q: How much exposure is there on the 5th class? How does the difficulty compare to 4th / low 5th in the Sierras? How much can climbing skills compensate for canyoneering inexperience? A: First in a general sense, safety is the sum of your total experience in canyons. There are a ton of factors (too many to list in this short reply) that you need to take into account and execute to move intelligently and safely. Climbing is only small part of that. I would say that good navigation an good decision making, and safety judgment calls are all more important than executing the technical climbing. In summary, canyon travel it is it’s own thing and it really does take some time to become proficient. And we are all learning new things on every trip. I learned some new stuff on the OLR! “According to Bill, he knows a few people who attempted the OLR, but is not aware of anybody completing it.” Chalk us up as a pair who tried but failed. Jim broke his leg on day 3 of our 11 day attempt. And it wasn’t even on challenging terrain – just one of those random mis-steps, when you’re not really paying close attention because it’s not a tricky place. We couldn’t retrace our steps because of his leg, but we had mapped all of the potential exit points and were able to make use of one of them via a 50 foot belay. It took us 3 days but we made it out without assistance. We agree with Alan’s two main points. The Escalante region is knock-your-socks-off beautiful, all of it, end-to-end and high-to-low. And this is no route for hikers who have not already spent many dozens of days hiking obscure routes in these canyons. The OLR is a fantastic and remote route. I added in many sections of the OLR during my 2005 hike along the Hayduke Trail. Thank you for deciding to not publish a comprehensive guide to the route. It was pleasure doing part of it with you and Andrew. Now, I just have to venture out on my own!! !